The Department of Campus Involvement engages students in transformational experiences that impact individual and community success. Our goal is to support the involvement of every student in some type of out-of-class experience that will enhance learning in the classroom and the development of skills and abilities employers are looking for. Check out our entire website for information on the many ways to get involved both on and off campus. 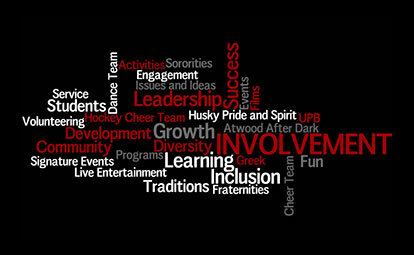 Like our department on Facebook and hear about fun involvement opportunities and campus events. Join University Program Board (UPB) to gain skills, meet people and have fun.